With another year of live shows in the books; I'm a little bit wiser, a little bit deafer, and a little bit more snobbish. "Pfft, I saw them back in '09 back when they were worth seeing," I'll likely say in ten years to younger, thinner, less bald music fans who are still viably cool. Anyway, I saw about...oh, ten shows this year and played four or five of my own. A bit sad, admittedly, but Charleston didn't exactly bring the goods this year, and travel is getting more and more difficult it seems. Suffice to say, this year sort of paled to last year's slate (exhibits A, B, C, and D). But that isn't to say I wasn't privy to some fine performances and, perhaps more importantly, some moments that will crystallize into indelible memories. I'll set the stage for you: It was the tail end of one of the most stressful two weeks of my life. Two Saturdays prior, my girlfriend and I had set out on an east coast-spanning roadtrip, only to have my car break down halfway through Virginia. And it wasn't just a water pump or even an alternator. It was the transmission (re: expensive and difficult to repair). Defiantly, we left the car with a relative and continued with our trip by any means necessary--a real life Trains, Plains & Automobiles. Ultimately I had to leave the car at a dealership in Maryland and fly home for work. At the airport, my father called to inform me of my grandfather's passing. What a week. I flew back up to Washington the following weekend, but had to wait til Monday to pick the car up. On Sunday, while checking out a few museums, I noticed a massive festival stage set up on the National Mall. I walked over to examine the situation, discovering that the (free) Earth Day festival was in full swing. I had little to no interest in the act playing (sorry Los Lobos), and would have taken off if I hadn't seen a wiley haired gentleman in a white suit standing behind the stage. I stuck around and watched the Lips play, U.S. Capitol serving as their backdrop (see top picture). Wayne rolled around in his bubble, shot confetti, and led the crowd in sing-song versions of "Fight Test" and "Yoshimi Battles the Pink Robots Pt. 1". Unfortunately, the wind picked up, the clouds spat rain, I was underdressed, and my feet were killing me. After about eight songs, I snaked through the crowds and off through the city to my friend's place where I was crashing. But I did not leave unfulfilled. 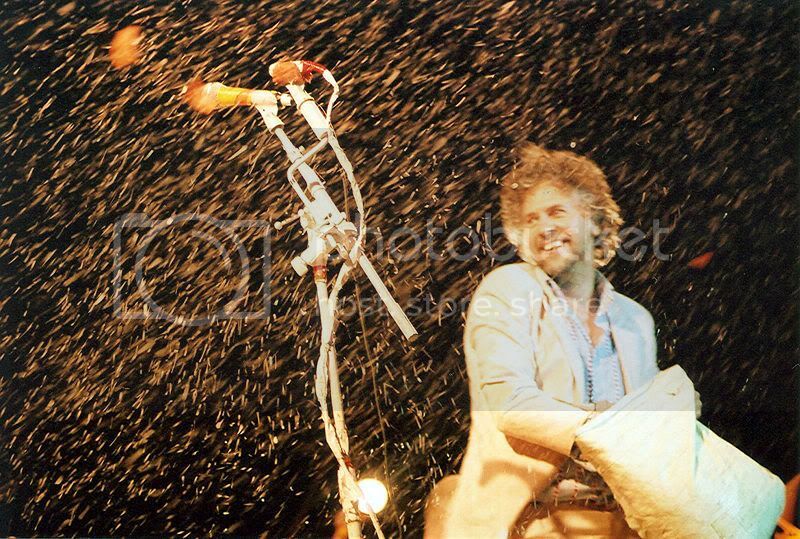 Considering "free Flaming Lips show in front of the Capitol" is right between "high fiving a pirate" and "watching Glenn Beck get flying-elbow-dropped by Macho Man Randy Savage" on my List of Awesome Things, I didn't have much to complain about. The other four shows on my list have already received lengthy write-ups, so I'll just link to them and add a snippet. The Avett's show in Charleston featured Scott Avett nearly going on the disabled list due to a punctured thumb, but, not one to disappoint, he toughed it out and rejoined the band, delivering two hours of wild punkgrass that I won't soon forget. The second time I caught the Felices this year was their headlining turn at the Pourhouse on James Island. I'm glad I caught these trashy troubadors when I did, because they'll no-doubt soon be playing bigger venues. After only their second trip to Charleston, they brought a capacity crowd and left us all clamoring for more. Fiddles and scarves usually mean one thing: Dickensian prose. 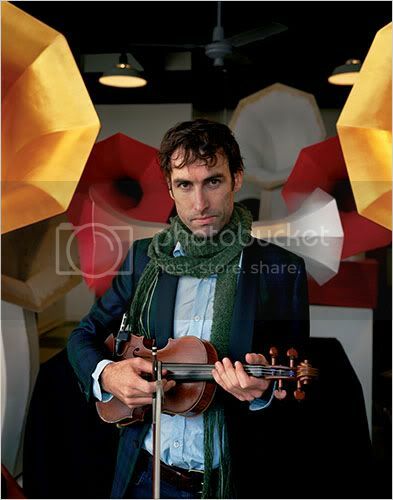 But on rare occasions, it means Andrew Bird is in town. Such was the case on October 12th, with noted thin person St. Vincent in tow. Bird played a brilliant set, and stands as the best performer I've seen since Tom Waits. 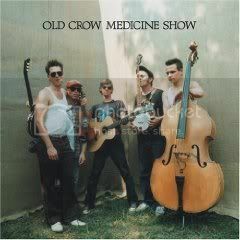 Taking this year's old-timey, knee-slappin cake was Old Crow Medicine Show, who migrated to Charleston in February to deliver a raucous set of high-speed bluegrass interspersed with slow burning folk ballads. These guys are world-class musicians, to be sure, and I might have had the best seat in the house. 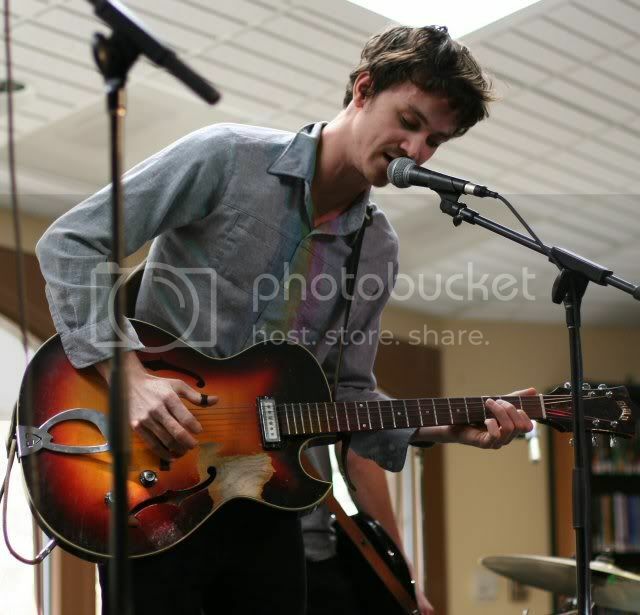 It was also the confirmation of the Felice Brothers for me--they warmed the crowd up for their fellow New Yorkers.